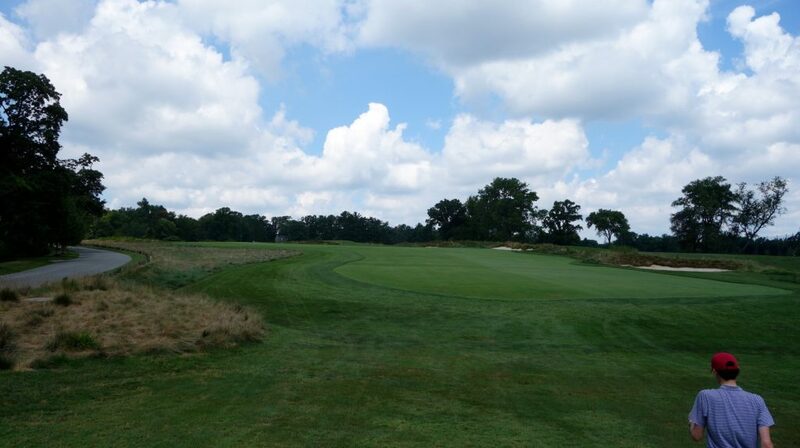 Philadelphia is one of my favorite golf cities in the world. 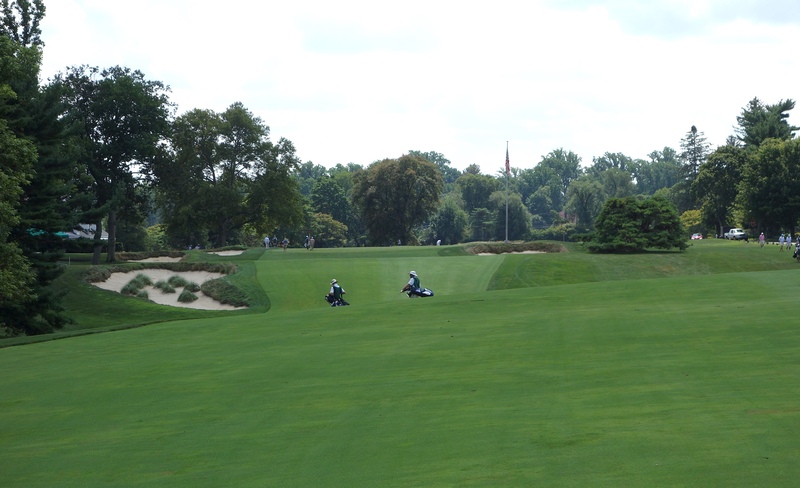 I have made three golf trips to the area previously, but for various reasons, rounds at Merion always fell through. 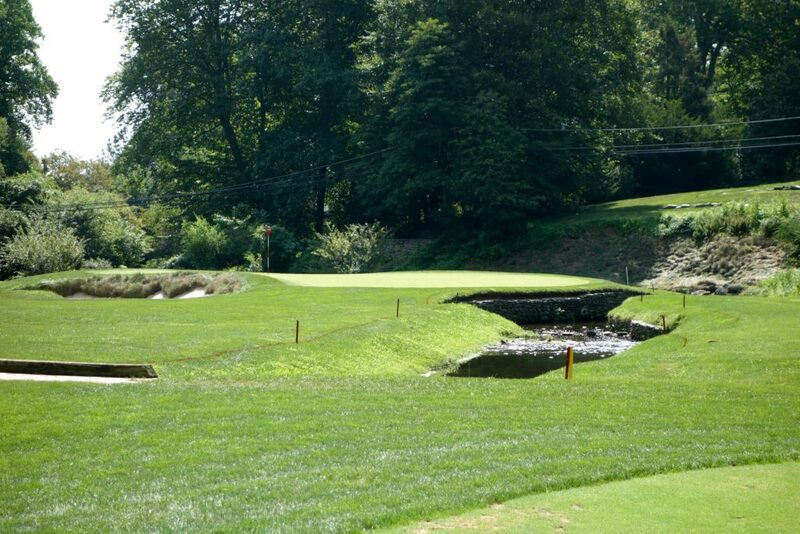 When the opportunity to play Merion resurfaced this summer, I was all-in. I flew from South Carolina to Philadelphia and met my good buddy Tim at the airport where he had just arrived from Edinburgh, Scotland. 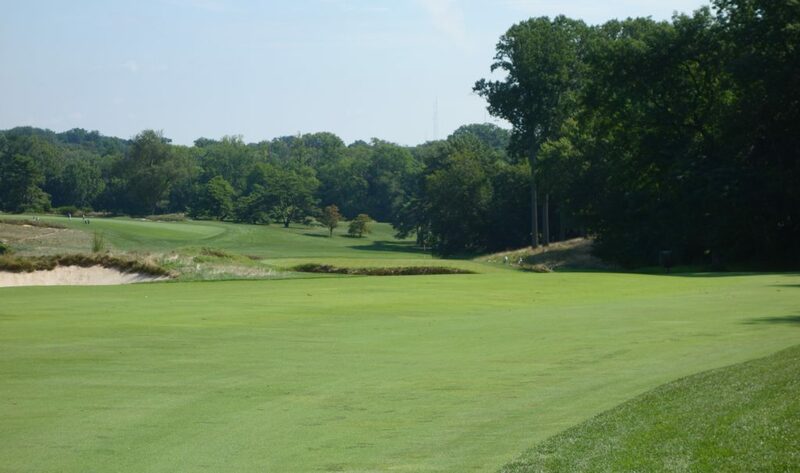 Every time I go back to Philadelphia the city confirms its place as one of the best golf cities in the world. 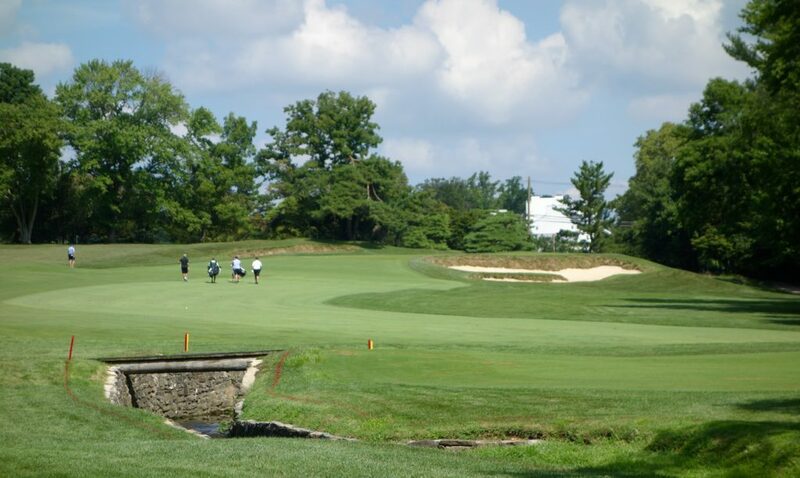 We spent the night with a friend in Philadelphia and drove over to Merion before our early morning tee time. The locker room reminded me of Winged Foot’s with its two stories and old school feel. 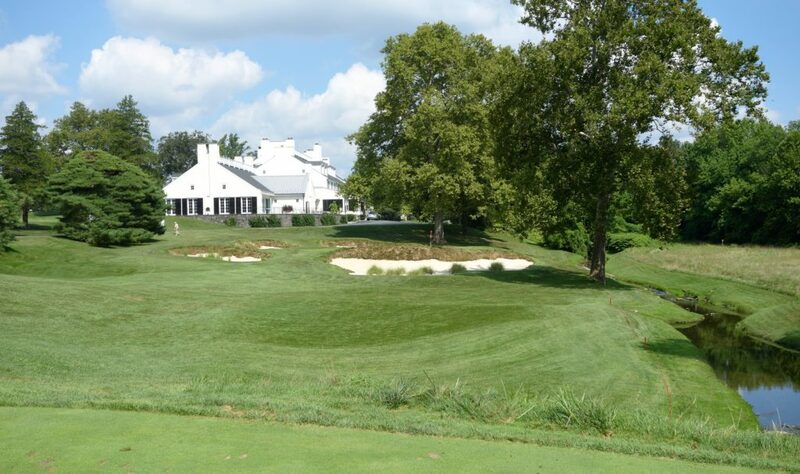 The clubhouse is filled with historic memorabilia ranging from photos to signed scorecards and trophies. It feels equal parts museum and clubhouse, and the best place to be is out on the porch having lunch. Lunch after our round was one of my favorite experiences. The pressure is immense for those on the first tee a few steps away. Safe to say it’s more fun having just finished the round! 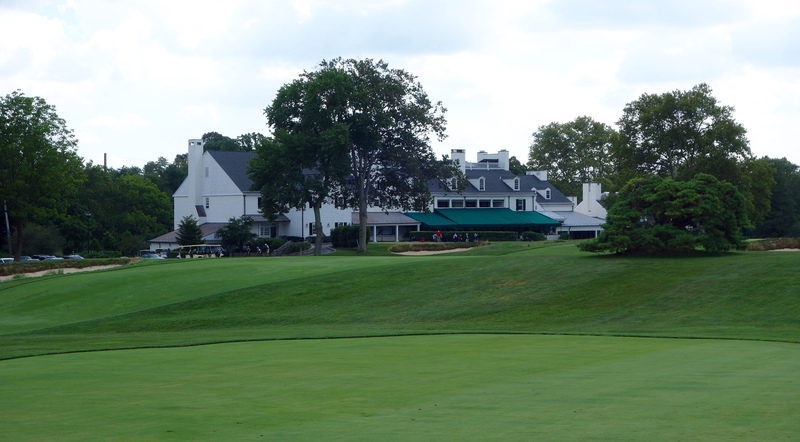 As with fellow Pennsylvanian Oakmont, Merion has a deep championship history. 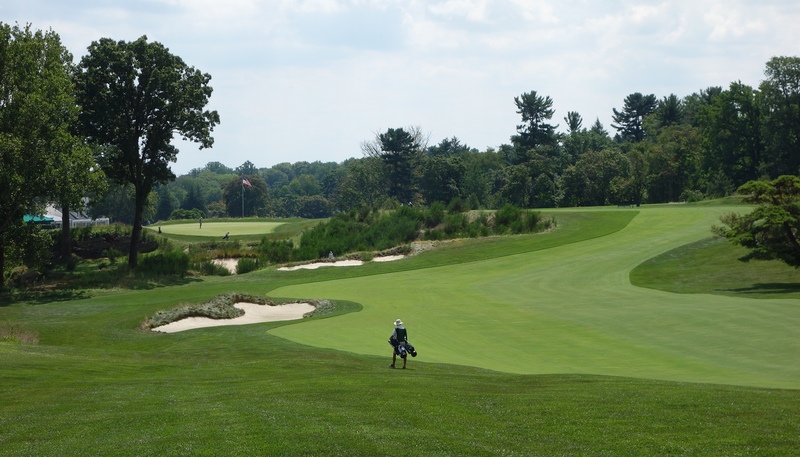 The course hosted six US Amateurs, five US Opens, and they weren’t just any championships. Bobby Jones completed his Grand Slam at the 1930 US Amateur on the course. 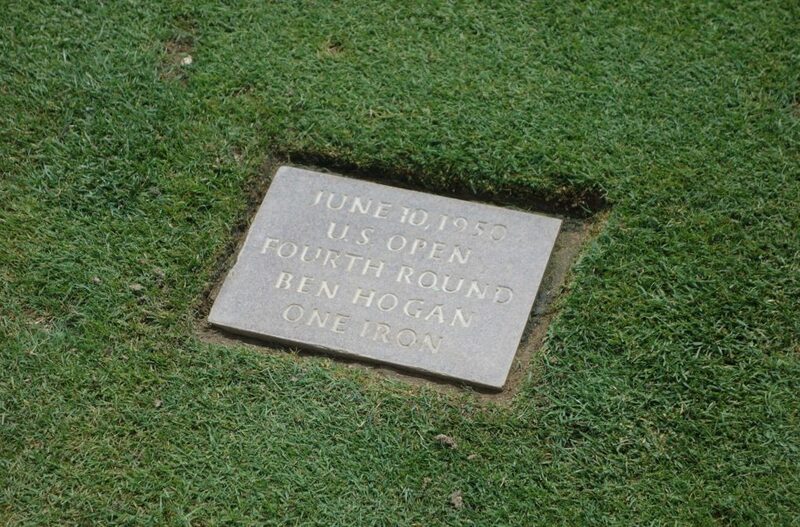 Ben Hogan returned from his car accident to win the 1950 US Open at Merion. Lee Trevino beat Jack Nicklaus in an 18-hole playoff at the 1971 US Open. Simply put, Merion’s East Course hosts legendary events. 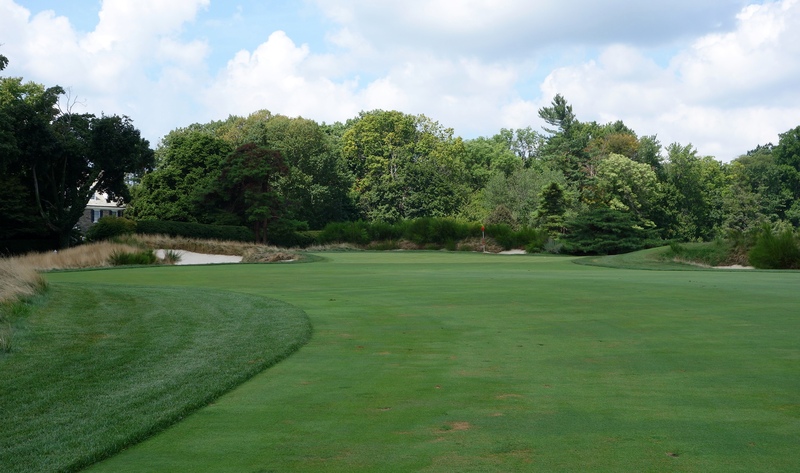 Most recently, the course hosted the 2013 US Open, and from everything I saw during that event, I arrived at Merion expecting it to be very tight and very penal. However, I found the course to be not be overly difficult, despite the fact that mistakes were compounded at every point. This was most evident in the bunkers, all of which had thick, tall grass lips. Any bunker shot without enough height would end up buried in a bunker lip… from bad to worse! One very interesting fact was hearing how much work went into the course for the US Open in 2013. 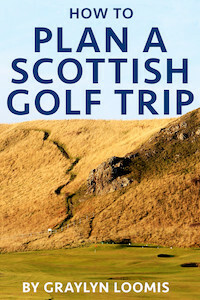 Fairways were narrowed, bunkers were moved, the practice putting green grew and was moved, and everything was updated. However, the course we saw on television isn’t what you see today. 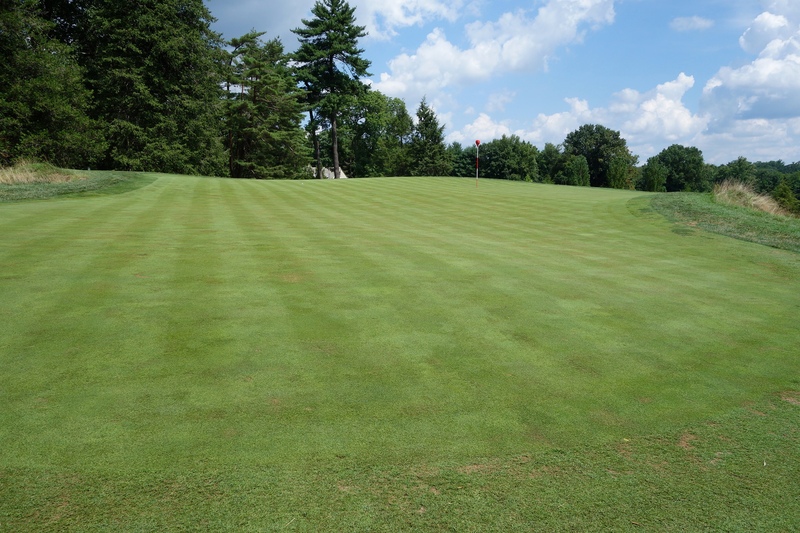 The fairways were widened, bunkers moved back, and the putting green moved again. 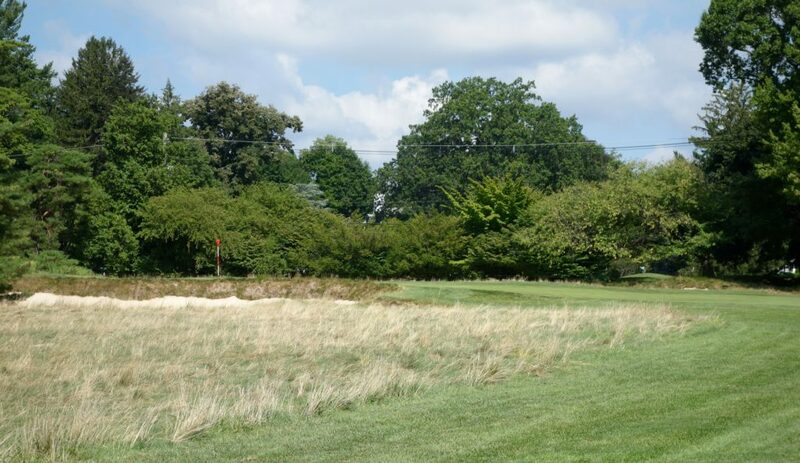 A renovation committee oversaw the revamp, and word is that Gil Hanse may consult on their work going forward. 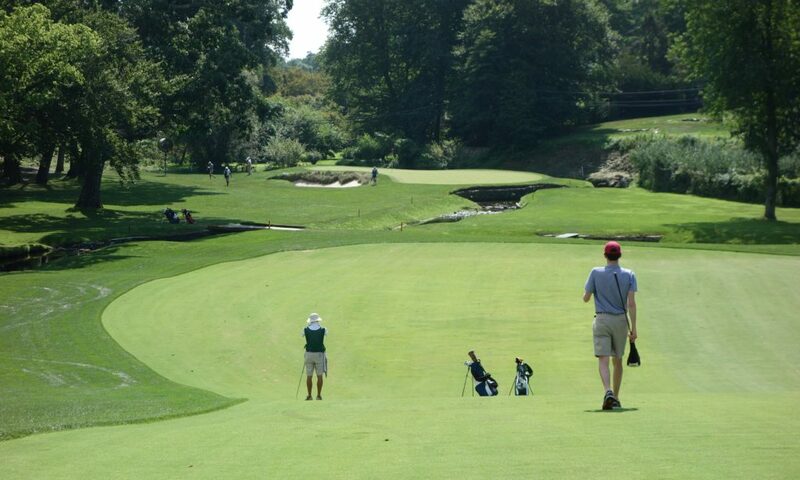 Hole #1 – 339 yards – Right off the bat Merion’s good caddies show their worth. 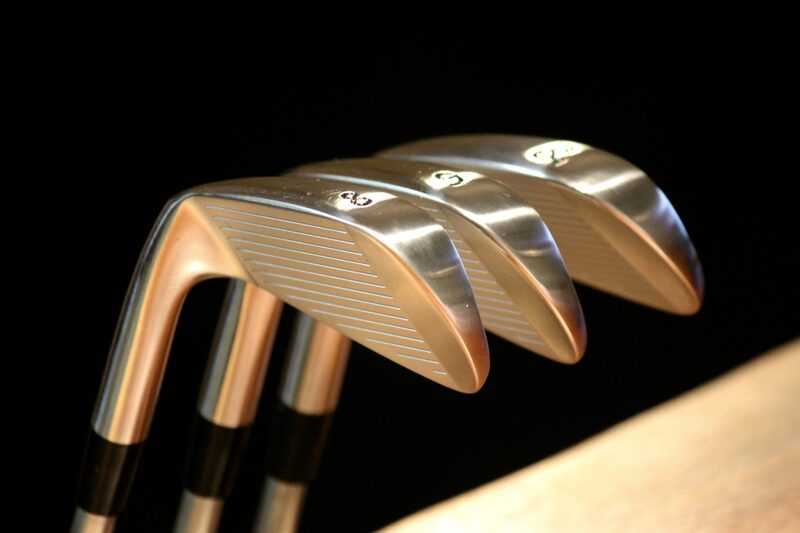 Their advice was to hit a 225-yard shot up the left side of the fairway. 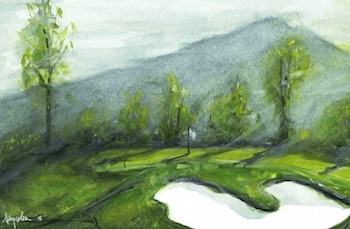 The advice was perfect, and the green sits to the right with bunkers guarding short-sided approach shots. 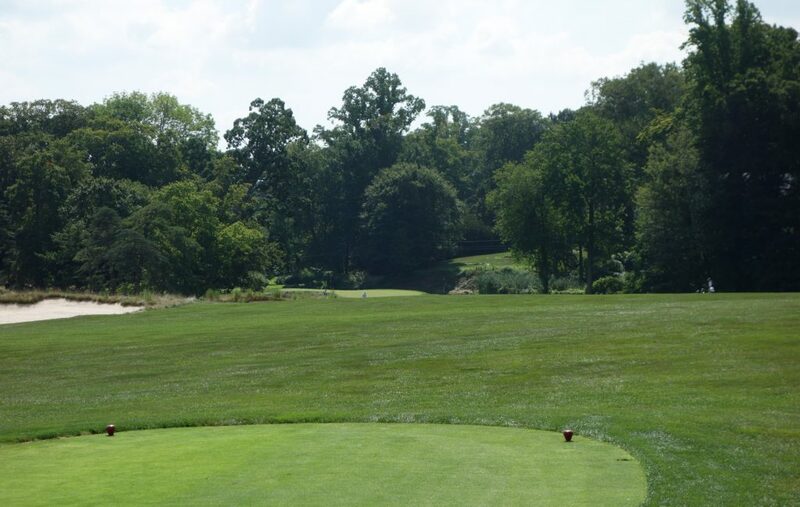 Hole #2 – 515 yards – This is where the course begins to open up. An accurate drive is key followed by a well-struck layup. The hole plays longer than the yardage. Hole #3 – 168 yards – Add an extra club or two with this raised green. 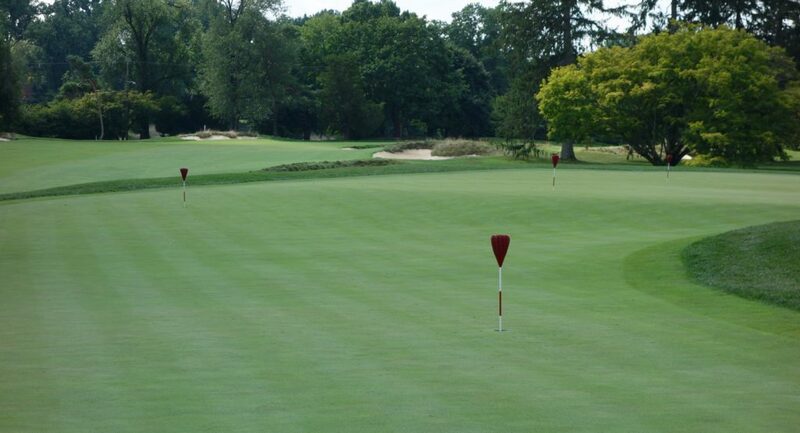 The putting surface is much larger than it appears, and avoid that front right bunker at all costs. 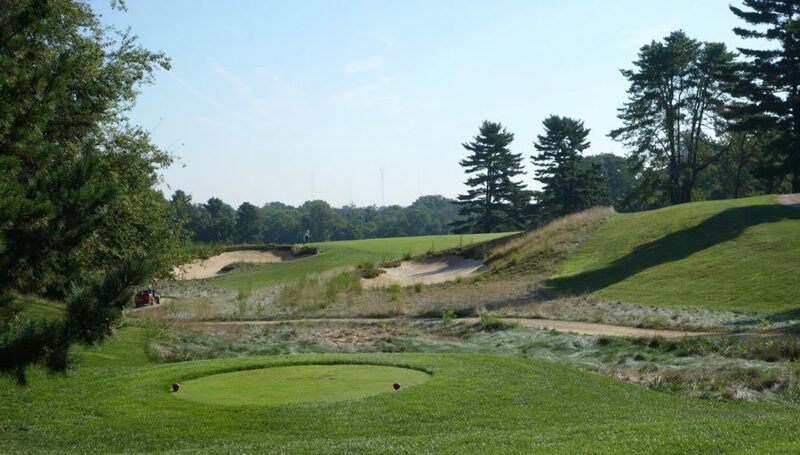 Hole #4 – 559 yards – Aim at the center two radio towers on the horizon. 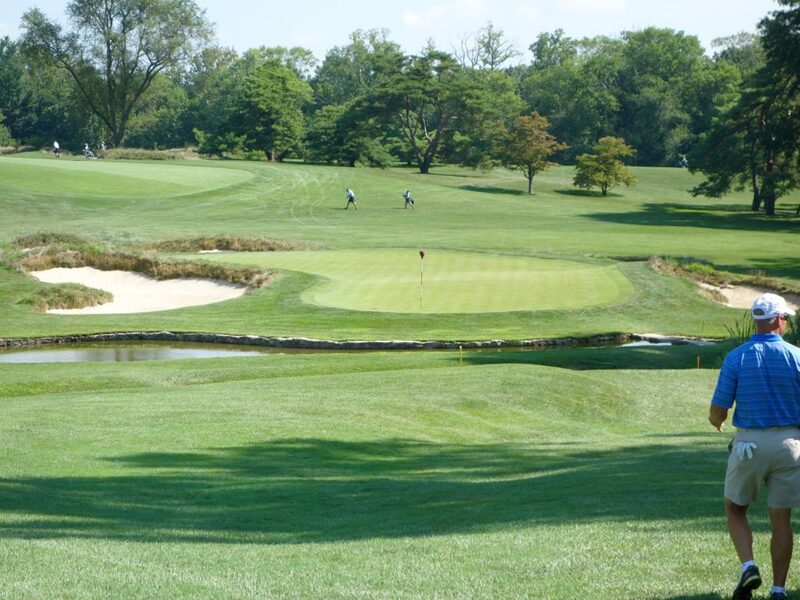 The approach is downhill into this small green with a creek in front. 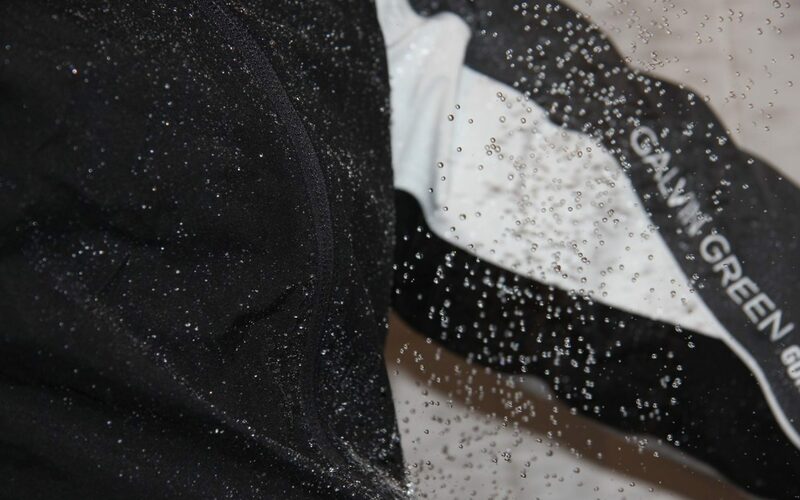 Check out that mean pin placement in the photos below! 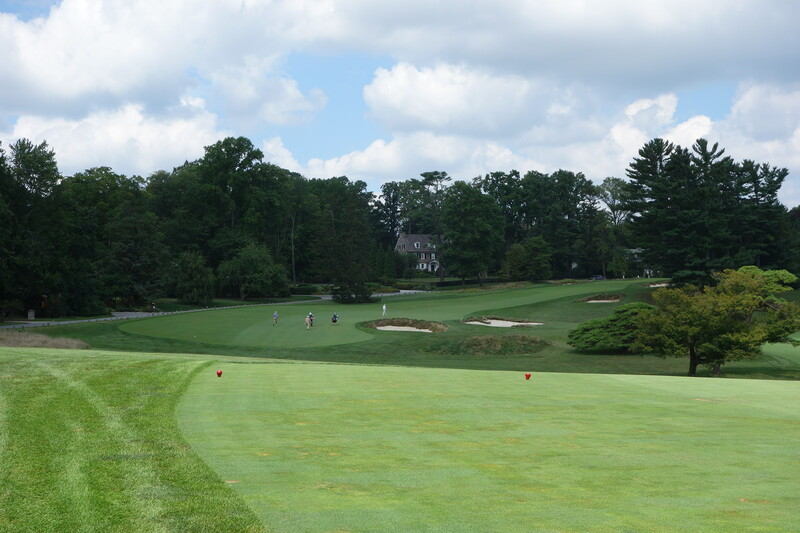 Hole #5 – 404 yards – This is one of Merion’s epic par 4s. 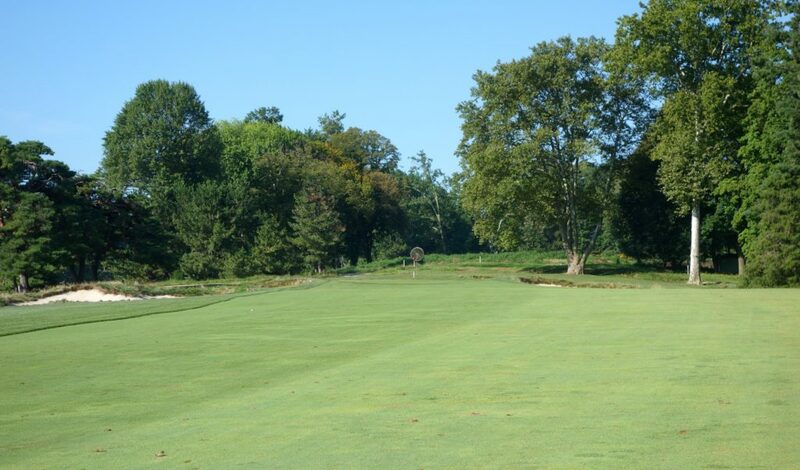 The fairway kicks everything right to left, and there is a small creek meandering up the left side of the hole. 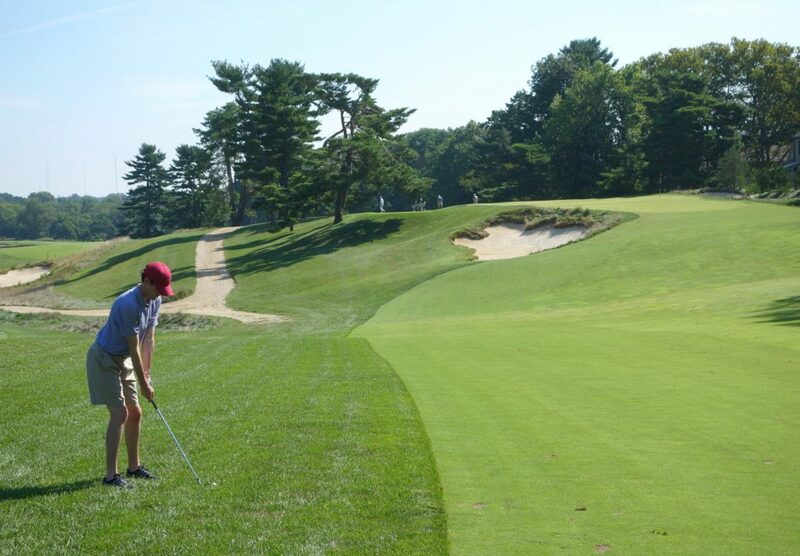 The green slopes severely right to left, making a miss on the right nearly impossible to recover… Except if you’re my buddy Tim and you get up and down for par from the right! 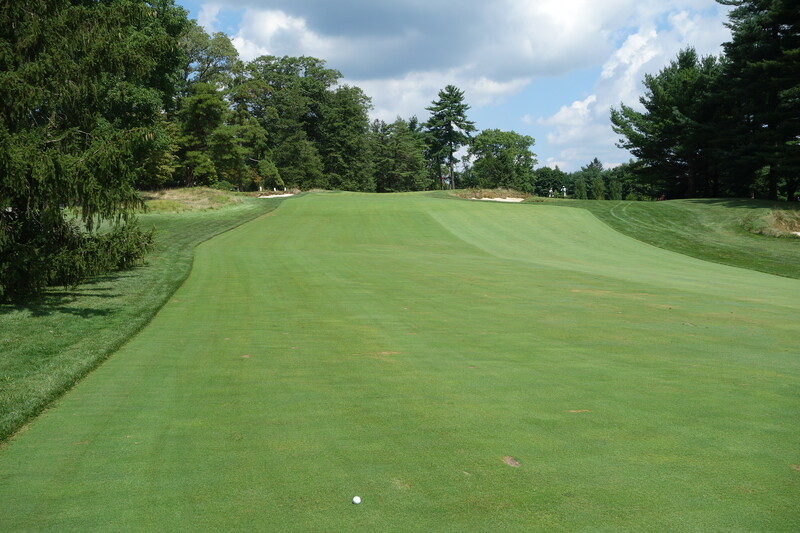 Hole #6 – 413 yards – Another big par 4 here. 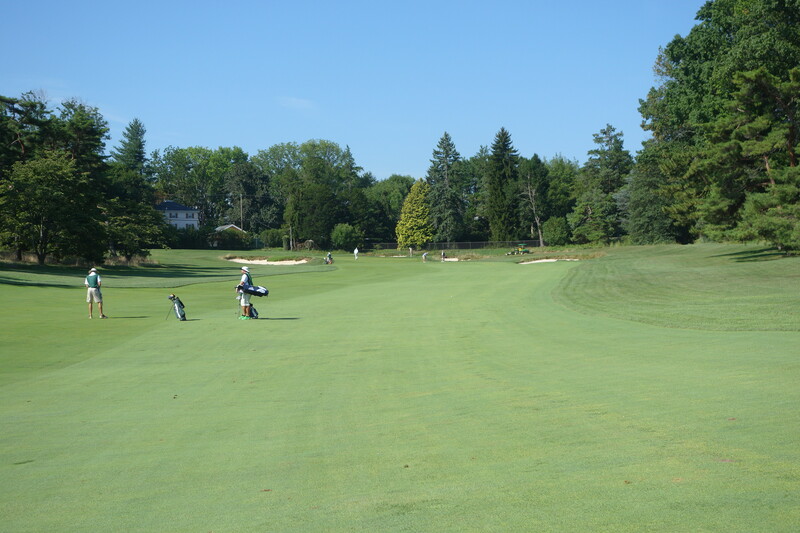 After a blind tee shot into this fairway, a long approach is required into the fairly receptive green. 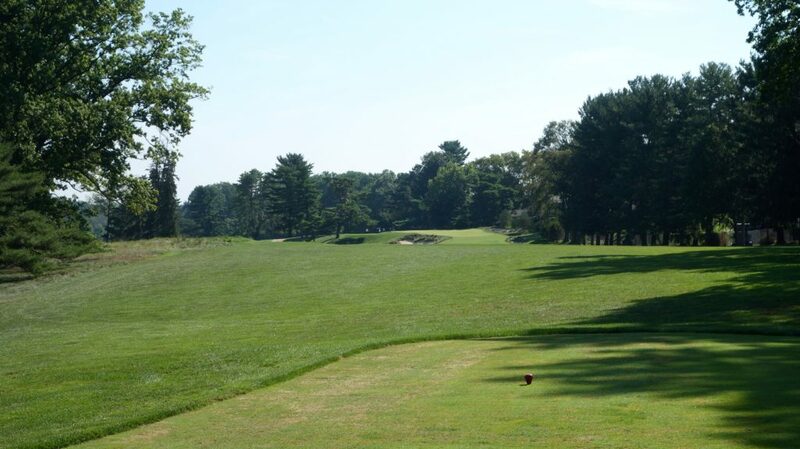 Hole #7 – 348 yards – No driver needed off this tee. 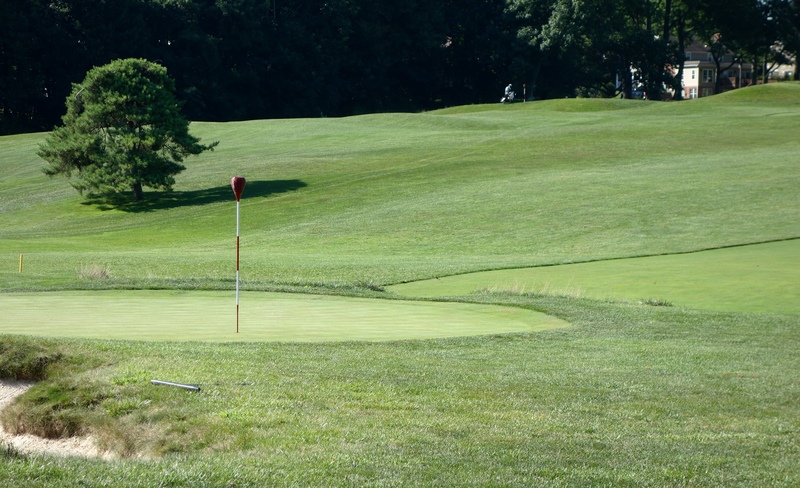 The real challenge lies in the approach shot, where distance control and a high ball flight is key. 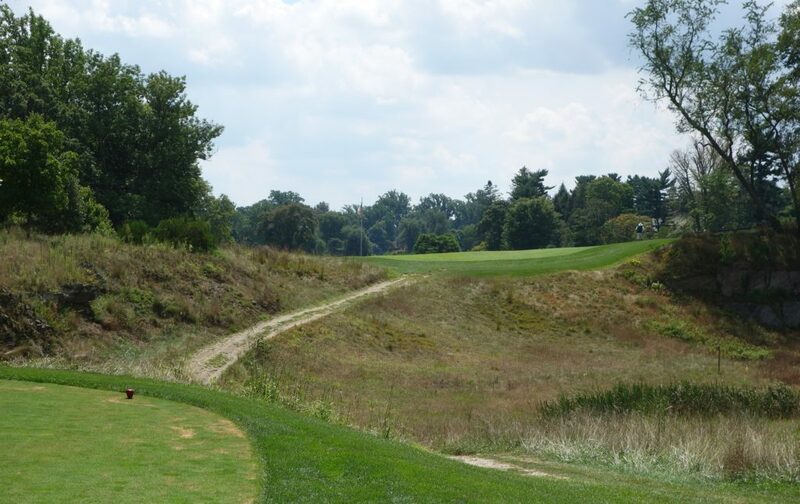 Hole #8 – 342 yards – Driver isn’t necessary here, either. The small green is guarded by bunkers. 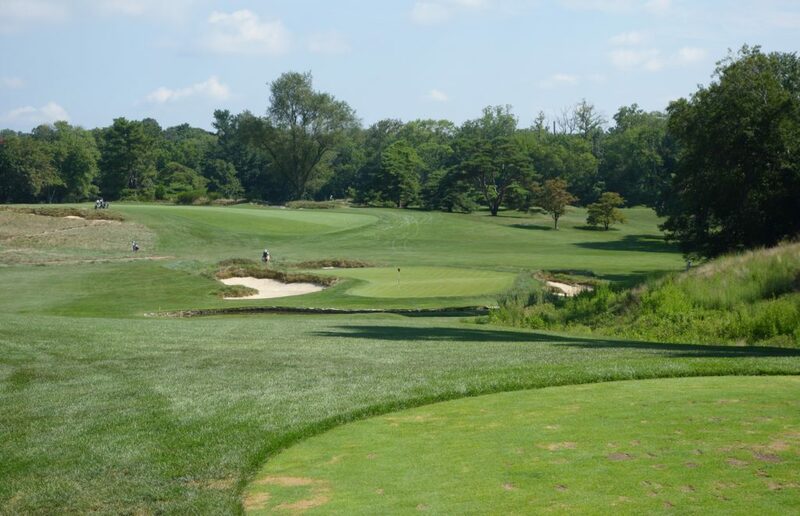 Hole #9 – 160 yards – This is one of my favorite par 3s that I’ve played. The hole seems so straightforward, but the longer you look at it, the more trouble you see. 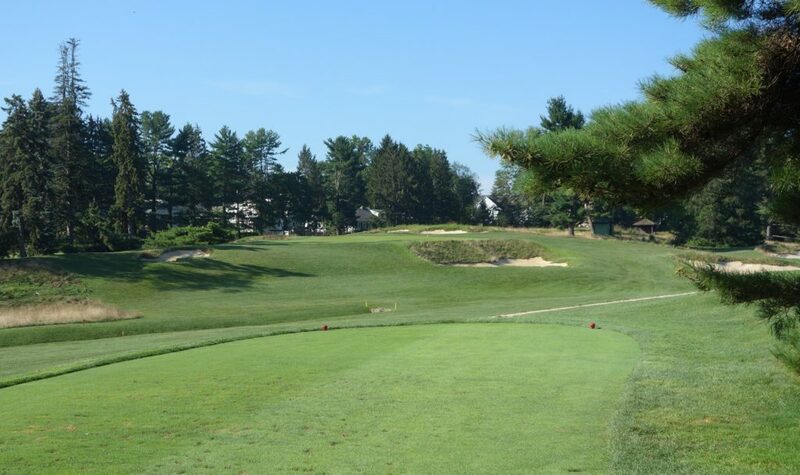 Hole #10 – 308 yards – Big hitters can try to reach the green on the left, but the smart play is a 220-yard shot into the meat of the fairway on the right. 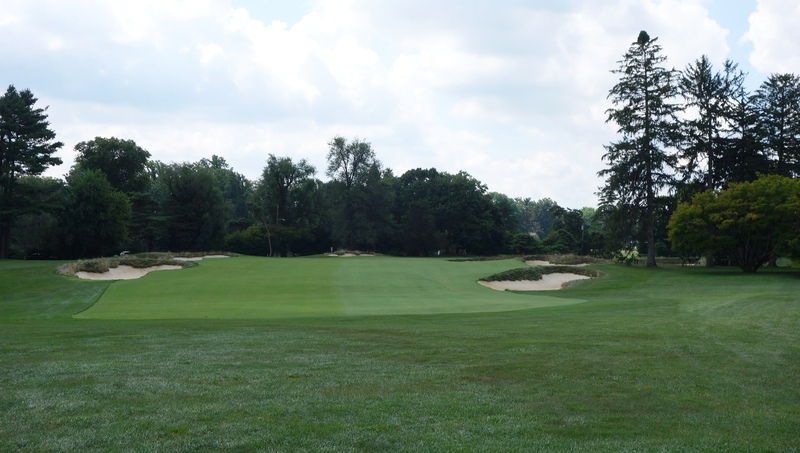 Hole #11 – 348 yards – This is one of the most famous greens on the course, and unfortunately the light was so bright that my photos didn’t turn out too well. 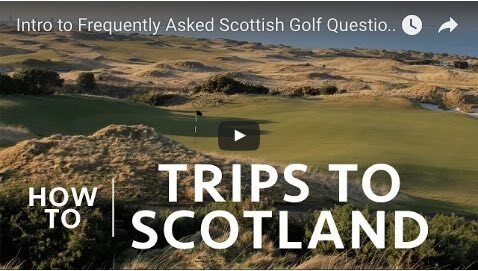 Thankfully I was there to play golf, not take photos! 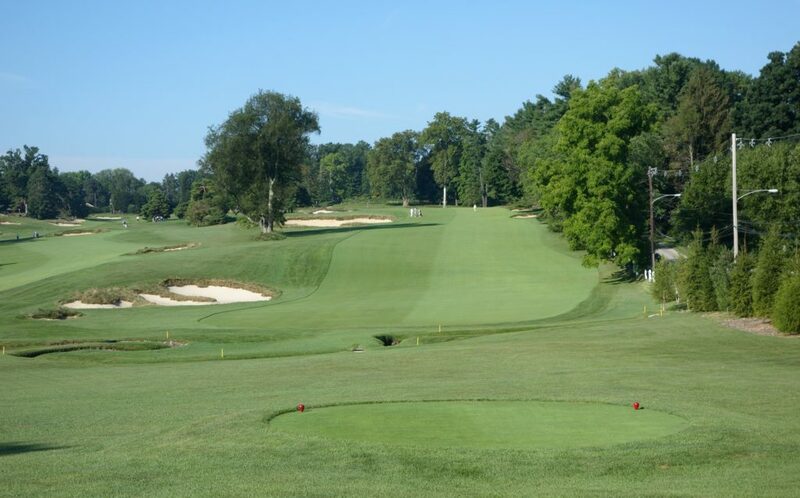 A hybrid leaves a short iron or wedge into this beautiful green. 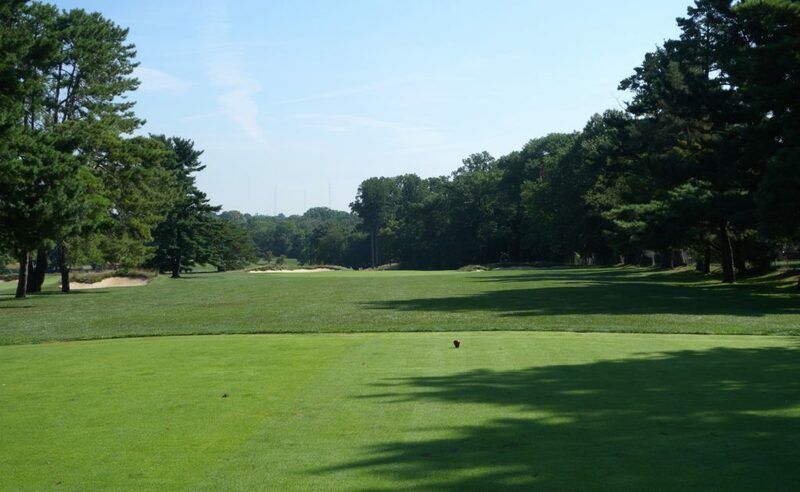 Hole #12 – 351 yards – Dogleg right here seen from the 11th fairway. Add a club or two to reach the back pin on this long green. 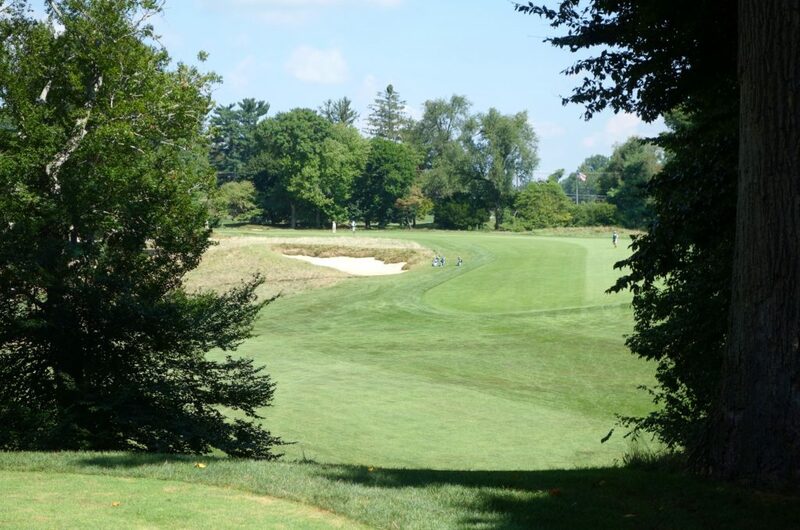 Hole #13 – 115 yards – I’m ashamed to have bogeyed this seemingly easy hole. Fortunately, Phil Mickelson bogeyed it a few days as well during the 2013 US Open, so I don’t feel too bad. 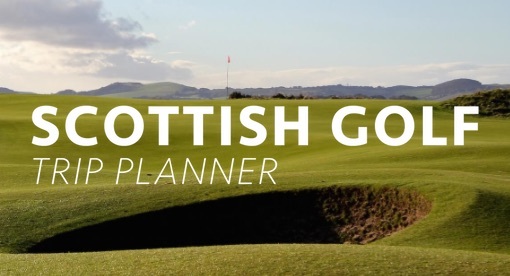 This small green is somewhat bowl-shaped, so the key is to avoid the bunkers and get on the putting surface. Hole #14 – 396 yards – This hole is uphill the entire way to the pin and avoiding those right side bunkers is key. 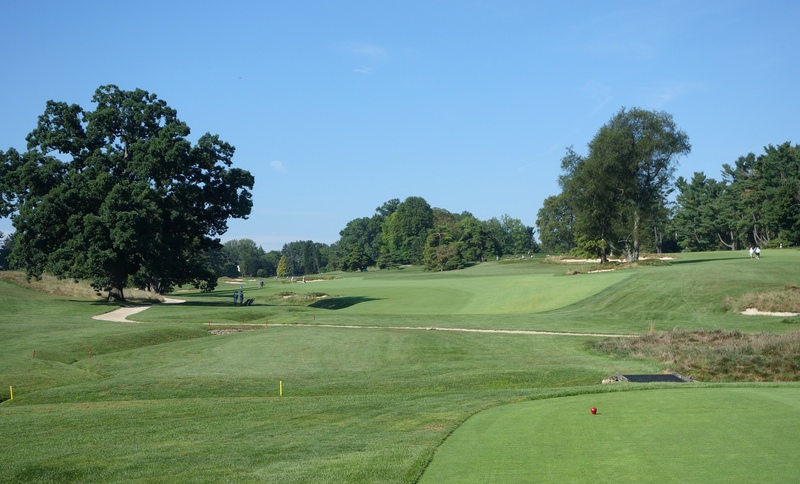 Hole #15 – 358 yards – This is the start of one of the best stretches in golf. 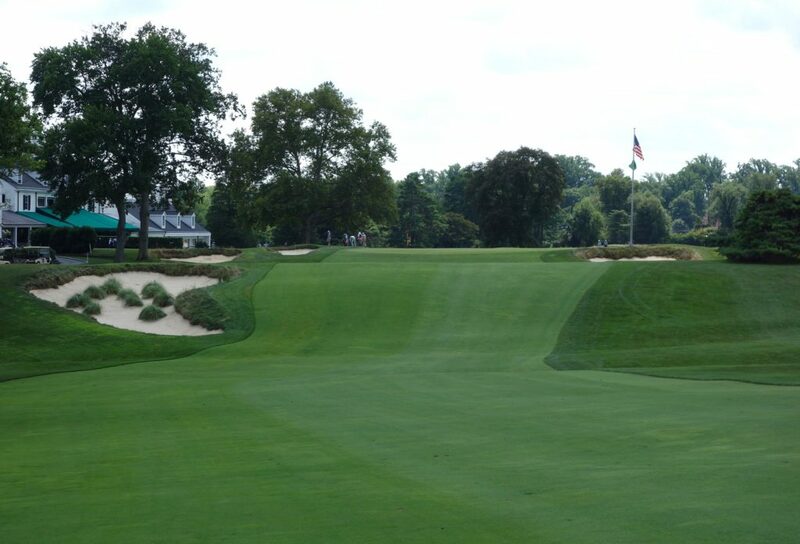 OB is found through the fairway (ask Sergio Garcia), and from there the approach is straight uphill to the green. Distance control is key. 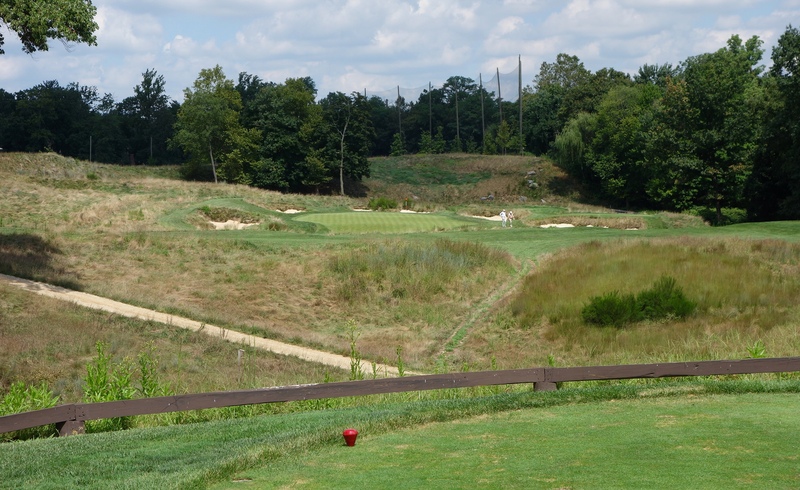 Hole #16 – 407 yards – This was my favorite hole on the course. From the start, the hole looks like a puzzle, with golfers trying to figure out the best way to play it. An old quarry divides the fairway and green in the distance, and the homes to the left of the 14th and 15th holes are all made of stone from the quarry. 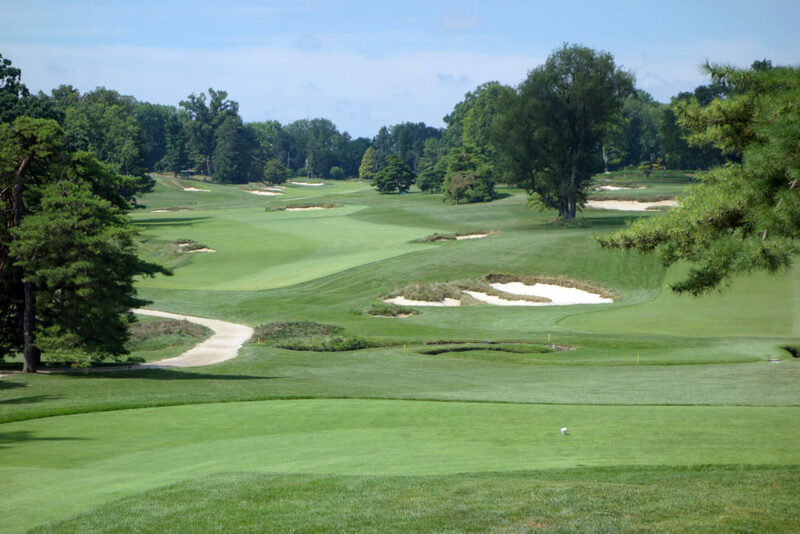 Hole #17 – 205 yards – A stellar par 3 and test of golf here. Balls hit on the left side of the green come back down to the right. 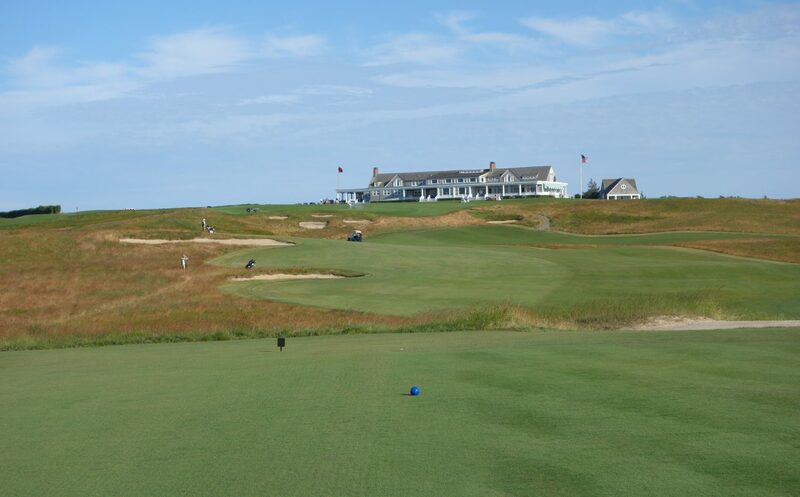 Hole #18 – 407 yards – The epic final hole starts with a blind tee shot at the American flag. 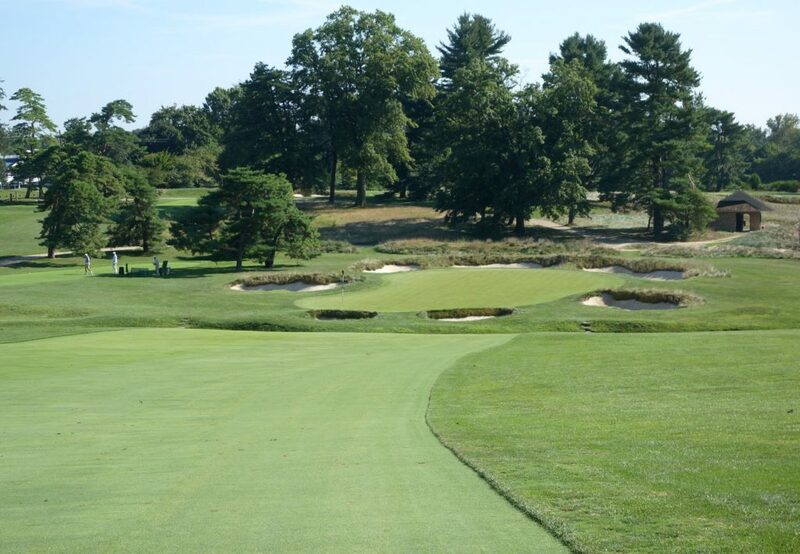 The famous Hogan plaque sits in the fairway, and despite a club policy asking people not to drop balls at that point, there are plenty of divots in that area! 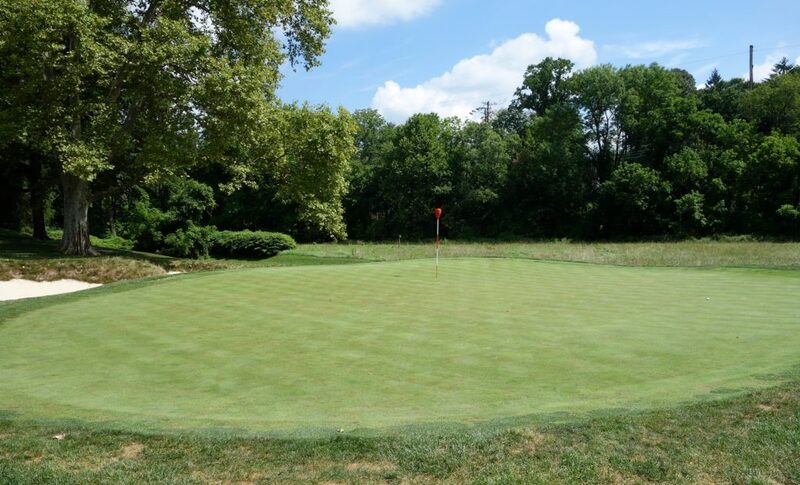 Don’t come up short on this green. 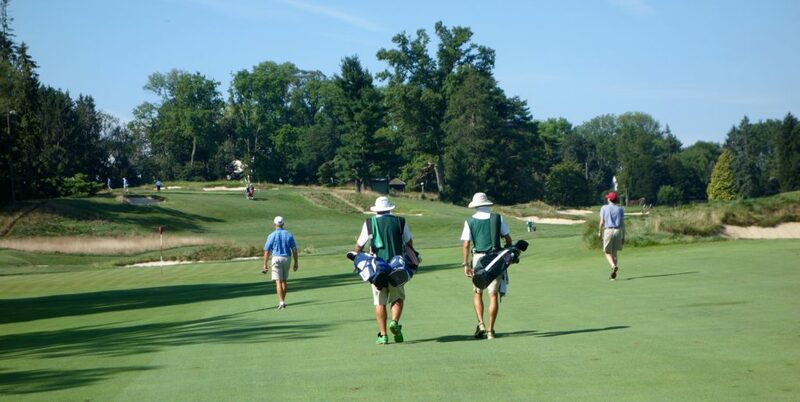 I left Merion thinking the same thing that I’ve thought a few times this summer… “How do you ‘review’ a course like that? I can’t think of a single negative!” Along those lines, this “review” is more of an “overview” of my day at the club. The East Course wasn’t the beast I expected it to be. 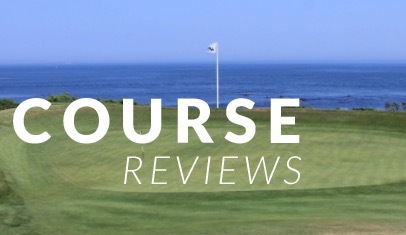 The course was very enjoyable, and the small greens forced me to never drop concentration. The last five holes are some of the best that I’ve ever seen, and if I ever get to return, I’ll count myself as lucky. It is one of the greatest clubs in the country and the experience of playing a round and then having lunch on the porch lives up to that legend.